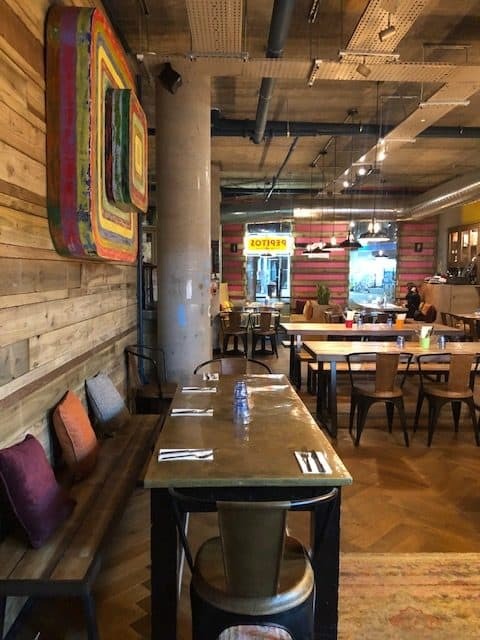 Pepitos is situated a 5 minute walk from London Fields station and offers a Mexican feast in a relaxed environment. We absolutely loved the bright Mexican themed decor in the restaurant and the accompanying Latino music. It made me want to go back to Mexico! Before we entered the restaurant we noticed a sign outside displaying 2-4-1 happy hour from 4-9pm. Now that always makes me happy! 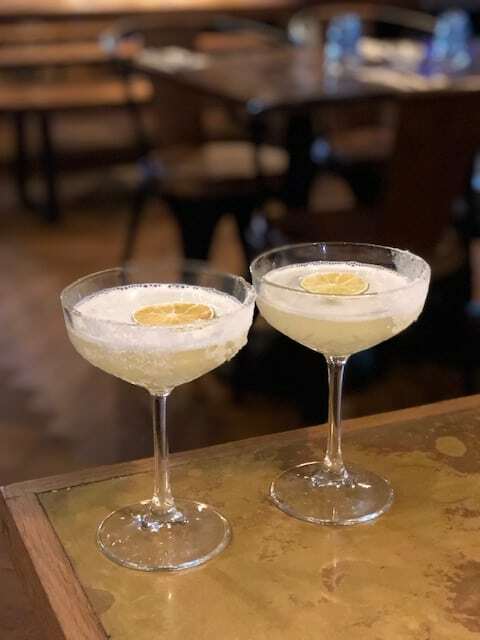 Although the two cocktails have to be the same, you can choose from both the Tequila Classics and Especial Cocktails. 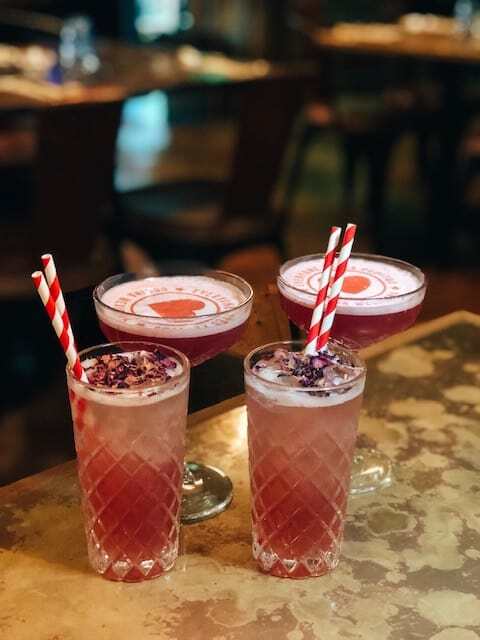 We kicked off with a Azul Corazon: Tequila, Aperol, Blackberry syrup, Prosecco, Egg Whites which was beautifully decorated (£11). 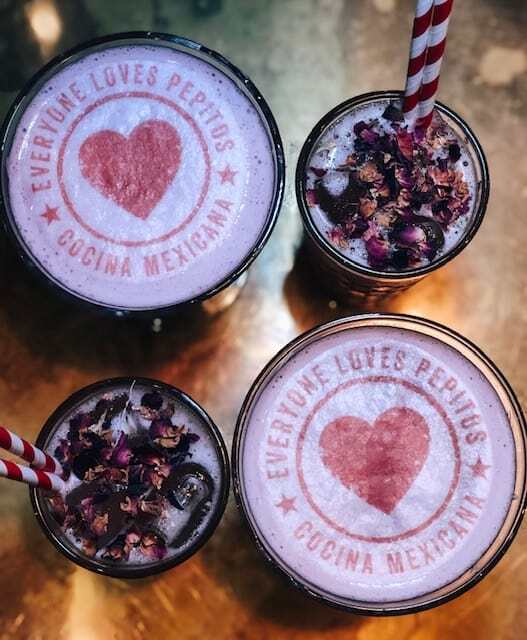 The Mexican Heart with Gin, Agave, Pomegranate juice, Rosewater came as a recommendation (£11). We were certainly not disappointed and the art on the top (see below) was a lovely touch. Obviously we had to try a traditional Margarita! Similarly to the cocktails above, we loved it (£9). I wanted to order everything from the small bites menu! 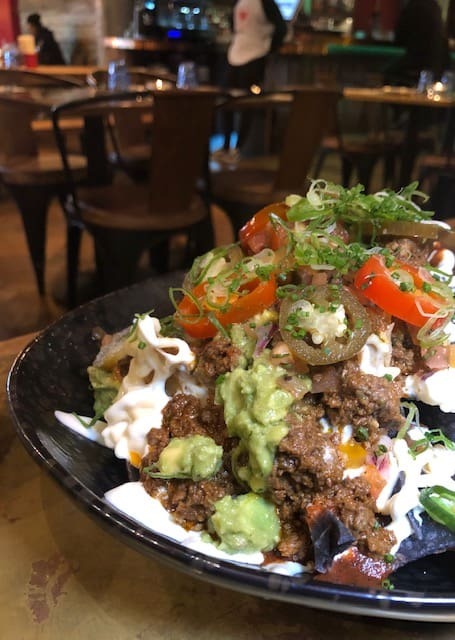 The Supreme Nachos with totopos with string melted cheese, sour cream, guacamole and chilli con carne (£8.5) are a must order. The totopos reminded me of the ones in Mexico and felt more authentic than standard nachos. The toppings were generous and it made for a great starter. 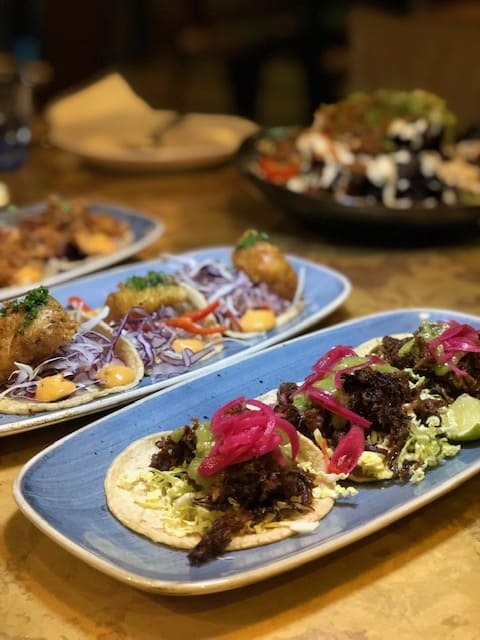 The tacos sounded so great we had to order all of them. We did not regret that decision as they were amazing. In each portion you get three handmade soft corn tortillas so they are also fantastic value. 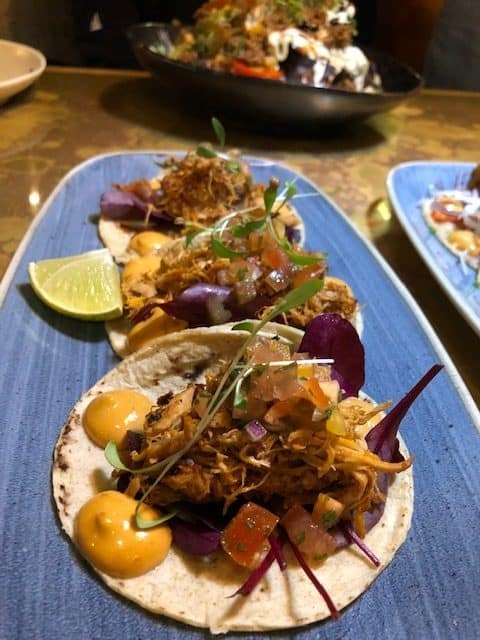 We had the Chicken Tinga and Pico De Gallo (£6.95), Pork carnitas and xni-pec (£6.95) and the Baja style fish tacos with ao-nori (£7.95). It was too hard to pick our favourite as they were all really flavoursome. 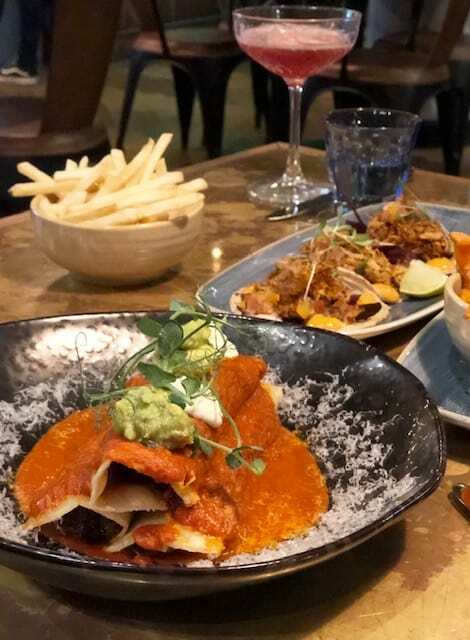 On the big bites menu there were classic Mexican dishes of enchiladas, burritos and fajitas. We opted for the Chicken Tinga Fajitas which were served with a variety of sauces including salsa and sour cream. We also sampled the Pork Carnita Enchiladas (£11.50 for 3) with homemade sauce, sour cream guacamole. Accompanied by fries, sweet potato fries and Mexican Corn on the Cob, this was a real feast. The menu is still going through some changes as the chef is keen to take the focus off traditional Mexican. 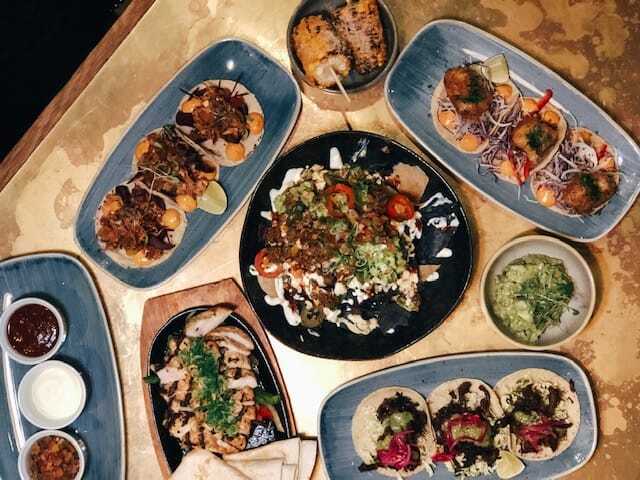 He wants to take inspiration from around the world and mix them in with the flavours and recipes of Mexico. 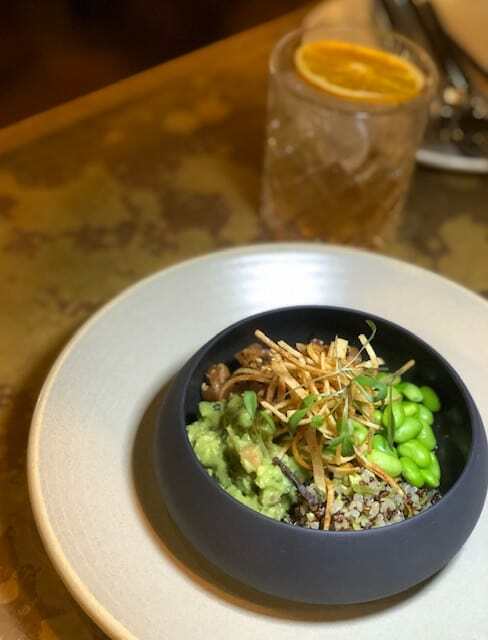 We sampled a Mexican Poke Bowl with guacamole, quinoa, salmon with soy and tamarind and crispy tortillas and there will be more dishes like that to come soon! There is one choice for dessert and that is all you need! 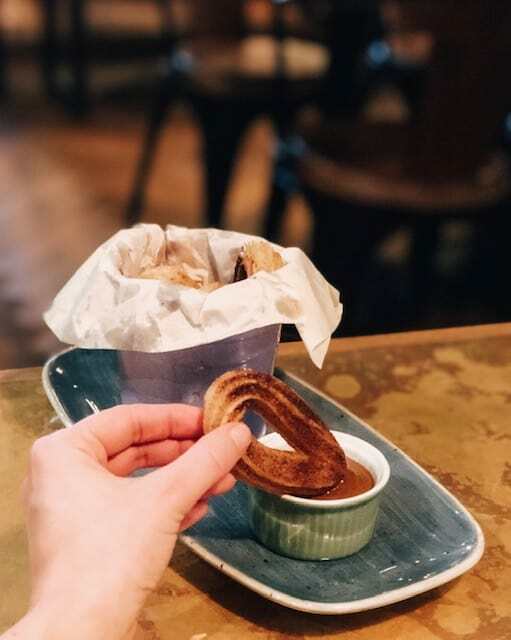 Now I am not normally a fan of churros (£6) but, oh my, these were fantastic! They were light (not greasy) full of cinnamon delishness and served with caramel dulce de leche. You MUST save room for these. 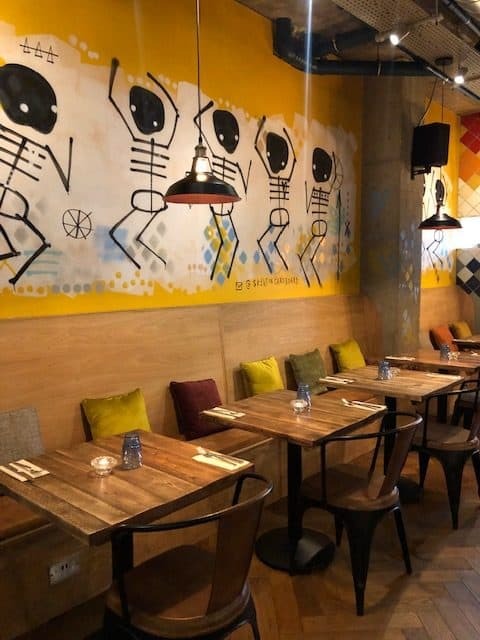 Pepitos is a great Mexican restaurant in London Fields offering some really tasty treats at affordable prices. 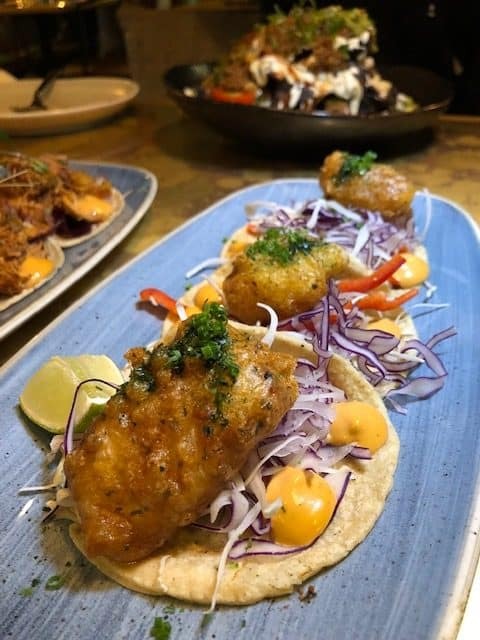 The tacos are a must order as well as the churros. We were also super impressed with the cocktails and make sure you take advantage of Happy Hour!